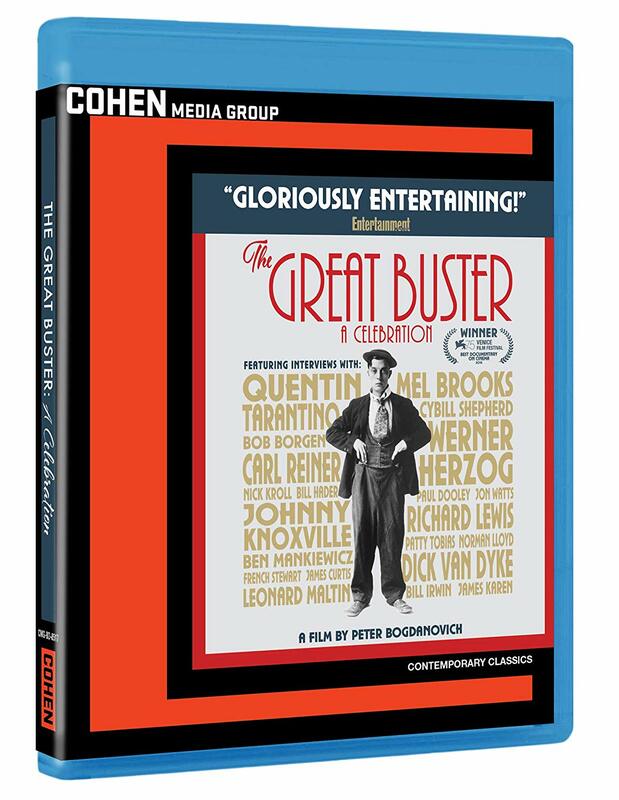 Peter Bogdanovich has repeatedly proven his interest in film history through the subject choices in his narrative films (Nickelodeon, The Cat’s Meow), but fascination turns to adoration in The Great Buster: A Celebration. The film celebrates (as the title implies) one of silent film’s greatest stars, Buster Keaton. Bogdonavich clearly has a passion for the subject, and it is contagious, but the documentary may be better titled “An Introduction” rather than “A Celebration.” In other words, die-hard fans of Keaton are likely to be disappointed by the rudimentary nature of much of the information provided by the film. Before Peter Bogdonavich was working as a director, he made a name for himself programming film screenings at the Museum of Modern Art, eventually writing a book and releasing a documentary about John Ford. He applies this same scholarly approach to The Great Buster, which is occasionally a bit too buttoned-up in its presentation of film history. There is some life added to the otherwise straightforward (at time, stiff) narration by including interviews with artists and celebrities who were influenced by Keaton’s work. The interviewees included in the film are all included for their love of Buster Keaton, though some of them offer little else. It makes sense to have Quentin Tarantino talk about the influence of a comedy hero who was capable of action without having to appear weak, or Mel Brooks discussing the way that Keaton taught him to make the audience aware of the filmmaking process. Even Johnny Knoxville comparing Keaton’s humor to “Jackass” is completely fitting, but then there are interviews with people like Richard Lewis, who is just a fan. At times, these feel a bit unnecessary. The interviews are also unnecessarily redundant when we can simply look at the footage of Keaton’s films to understand his worth. The structure of the documentary is fairly straightforward, to the point that it almost just feels like a special shown on AMC or TCM. Nearly completely a chronological and historical look at his life and work, the movie only occasionally gives insight that one couldn’t find in a basic film history book or simply by watching Keaton’s movies. This is not to say that the film is dry, but it is also a great deal less vibrant than the films they praise. And existing fans of Keaton won’t find much new information or insight, though it may inspire the desire to re-watch some of his best films. The Blu-ray release may not be necessary for a film like this, but the package is spectacular. As much respect as the film gives Keaton, the release gives the film. The special features are the only thing that is not as impressive as expected, including only a Q&A with Bogdonavich from a screening of the film. A trailer is also included.